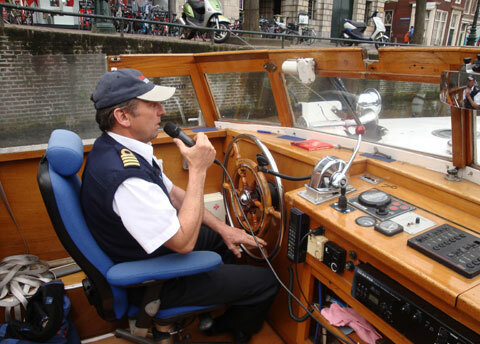 From March to October the Rembrandt Shipping Company (since 1950) runs daily boat trips round the city of Leiden. However, on request it is also possible to sail in the months of March and November. The boats leave from Blauwpoortshaven (at the Beestenmarkt), which is on the route from Leiden Central Station to the city centre. 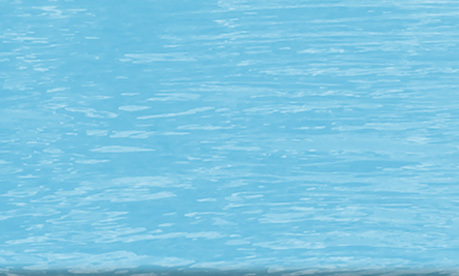 Our company's boats are suited to all sorts of weather: they can be roofed over if necessary, or open when possible. As the boats have a unique low shape, they can go under all the low bridges of Leiden so that we can offer you a beautiful view of Leiden. Leiden came into being around the 12th century at the point where the Rijn, Vliet and Mare rivers flow together. 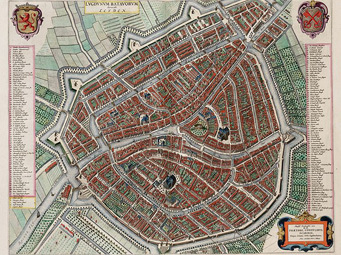 Quite quickly, Leiden became an important trading centre and had to keep digging new canals to deal with the expansion. That is how a network of waterways and historical buildings came into being. The unique form of the inner city has, for the most part, been reserved. 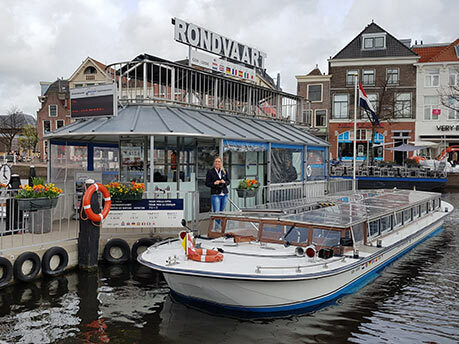 Sailing through Leiden in an hour-long boat trip, you experience the very rich culture of the city: many monuments, museums ansd almshouses are situated on the water. 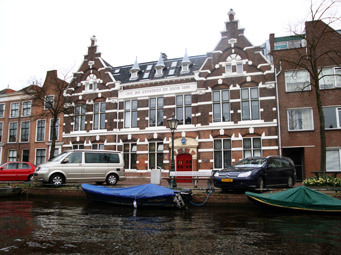 For instance, you sail past Weddesteeg, the street in which Rembrandt was born, as well as the Hortus Botanicus gardens, which date back to 1581. The Hortus is part of the University of Leiden, the oldest university in the Netherlands. Leiden still possesses two original city gates. 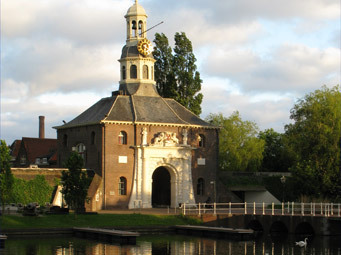 The Zijlpoort (1640), is one of the city gates that you can admire during your boat trip. The same is true of Leiden Town Hall. From the water you have a good view of the colourful flower market (Wednesday and Saturday) and the lively pavement cafés of the Key City. Rembrandt Shipping Company on bigger map. As an old Dutch city, Leiden of course has many monumental canalside houses. These are characterised by all sorts of gables such as the stepped gable and Dutch gable. You will see many examples of these during your canal trip.